So I may have quit caffeine back on January 1st, but that doesn’t mean I don’t enjoy a nice iced coffee treat every now and then – especially on a hot summer afternoon. 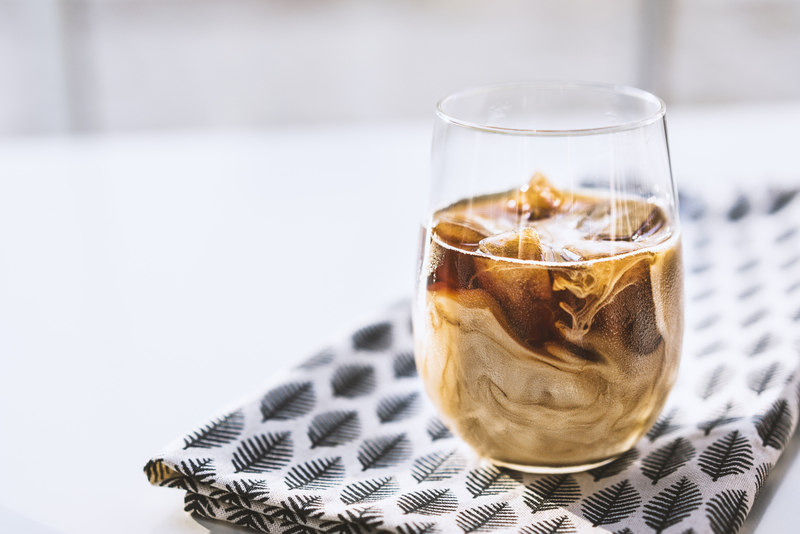 But the biggest problem with iced coffee (whether you make it yourself or buy it at a store) is that it’s tough to keep ice-cold…especially since when you add ice, it melts and waters it down. So how do you keep your iced coffee as delicious, strong, and creamy as it was when you first made it? Here’s how. Well, if this isn’t an ingenious solution. As they melt, they don’t water down your coffee! In fact, Starbucks began testing these in a couple of markets back in May – but they’re charging customers 80 cents for them. 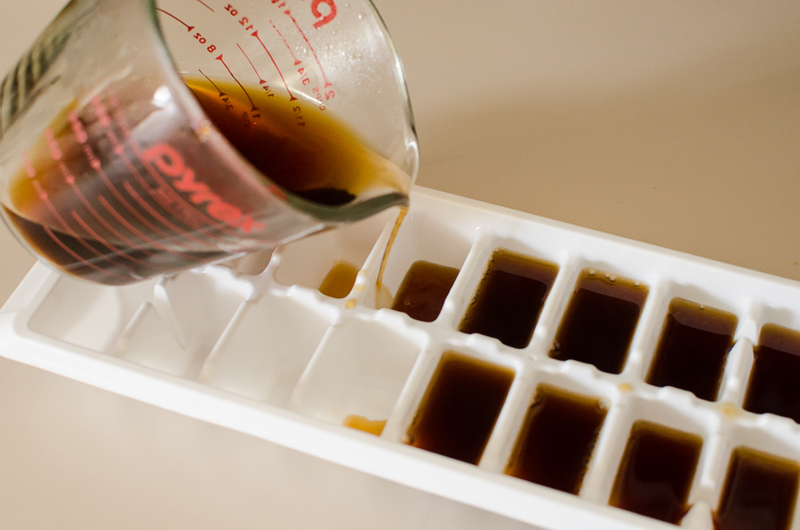 Instead, brew some coffee, pour it into an ice cube mold, and freeze it. Then pop a few out and add them to your coffee. I found that a 12-ounce brew filled up one ice cube tray perfectly. So you want iced coffee but you didn’t plan ahead. Your choices are to 1) buy it somewhere, 2) brew a cup of coffee and stick it in the fridge to cool off, or 3) just dump as many ice cubes as you can in there to cool it down. Now, there’s another option. 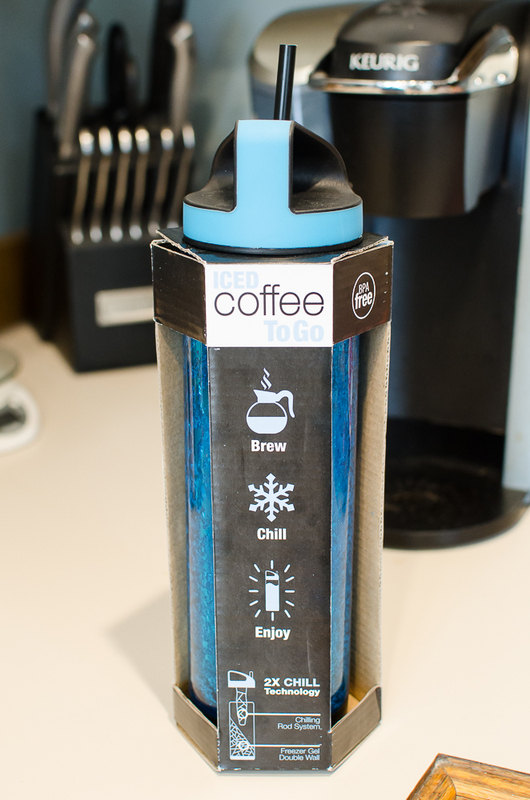 SmartPlanet sells a tumbler that’s designed specifically for iced coffee, their Iced Coffee to Go Bottle. 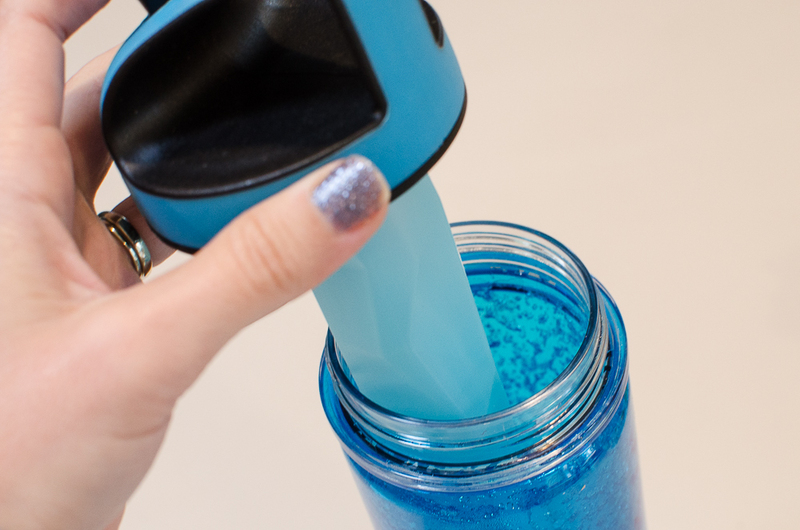 You just keep the tumbler and freezing rod in your freezer, and when you want iced coffee you pour the coffee right into the frozen tumbler, insert the freezing rod, and let it sit for five minutes. 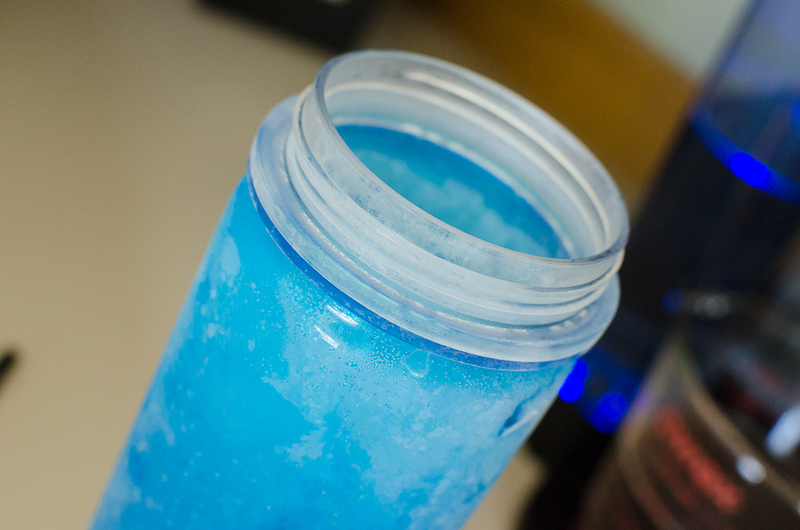 Freezer gel on the outside, freezer rod on the inside. All frosty and ready for coffee! Boom. Iced coffee – cold, immediate, and not watered down. Genius. Cold brew is coffee that’s steeped in the refrigerator overnight. It can be stronger – but less bitter – than traditionally brewed coffee. And the good news is that one batch of cold brew makes a BUNCH so you can enjoy your coffee all week long! Check out this simple recipe on how to make your very own cold brew. I’ve found that using a combination of the techniques listed above will keep my iced coffee chilled for a long time. 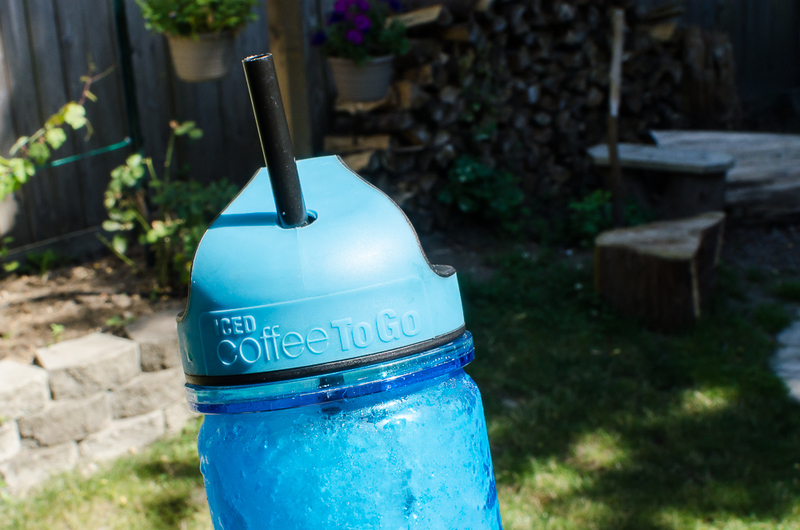 For good measure, I threw a few of the coffee ice cubes into my frozen Iced Coffee to Go Bottle, and even on a hot day working in the garden, it stayed cold. I even found myself sipping the coffee instead of inhaling like I usually do – because I hate when my coffee gets watered down. It’s always a race to beat the clock. This was a really great solution! Now that you know how to make the perfect iced coffee, we’ve got a surprise for you. SmartPlanetis giving away one of their Iced Coffee to Go Bottles to one lucky reader (U.S. mailing addresses only, please). There are lots of ways to enter below – see if you’ll be the lucky one!